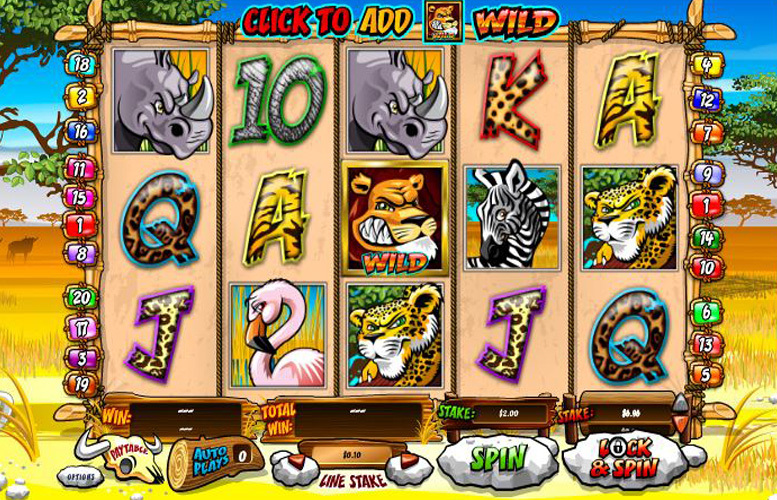 The Wild Gambler slot machine from Playtech is a brilliantly presented title from one of the industry’s leading names. It’s brightly coloured, well-illustrated, and features some unique bonus stages. These factors combine to create a game that’s not only exciting but also potentially very lucrative. Unfortunately, it’s not a perfect slot machine. The lack of an enormous top prize, and the somewhat convoluted bonus features do hinder the enjoyment to be gleaned from the title. That said, it’s still well worthy of a spin or two. Innovative bonus features. The “lock and spin” mode is a great addition which adds a lot both players’ potential profitability, as well as the replay value of Wild Gambler. Low main game pay outs. The top jackpot of just 1,000x the line bet is miniscule when compared with those machines that offer more than 10x the figure. The “lock and spin” mode might be confusing to players who just enjoy loading a slot up and blasting out a few spins. Sure, they could just ignore the bonus but since the other main feature is just free spins, the game isn’t anywhere near as exciting without it. “Wild” lion = 1,000x the line bet. Rhino = 800x the line bet. Tiger = 500x the line bet. Zebra = 400x the line bet. Flamingo = 300x the line bet. 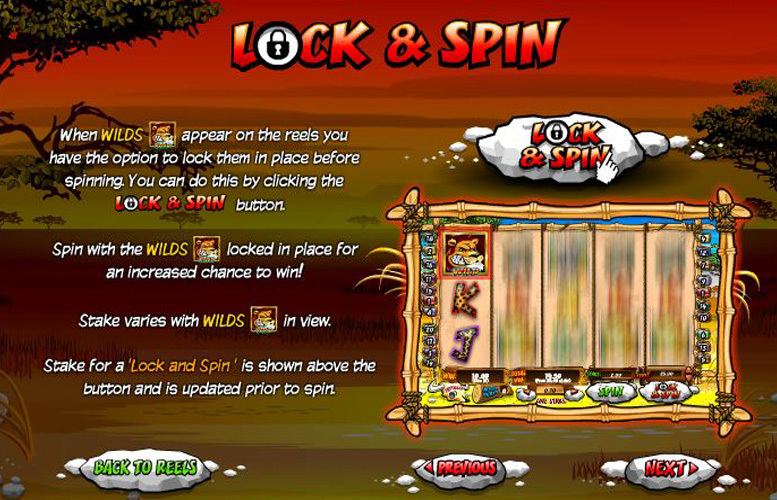 During the main game, when “wilds” appear on the reels, players are given the opportunity to lock them in place before spinning again. To do this, they must simply click the “lock & spin” button. It’s important to note that the stake will vary depending on how many wilds there are in view, and their specific position. The amended bet per spin is calculated then displayed above the “lock & spin” button next to “spin”. 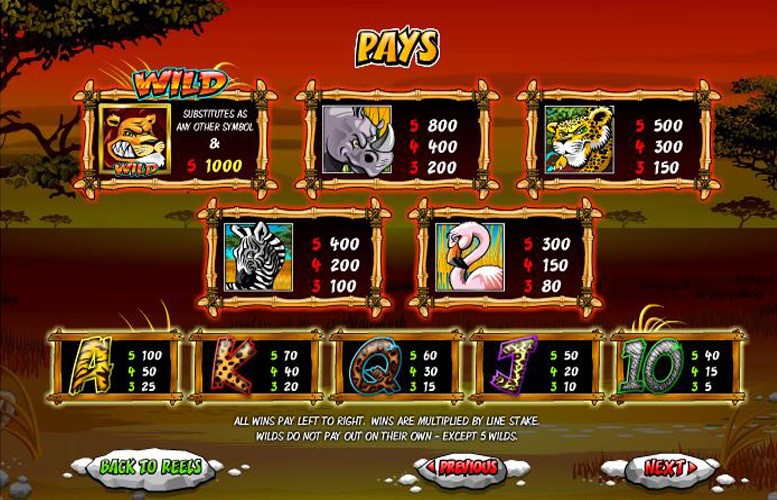 In addition, players can select which “wild” symbols they wish to lock. After a spin successfully lands “wilds” anywhere on the reels, clicking on the symbol will select or de-select it. 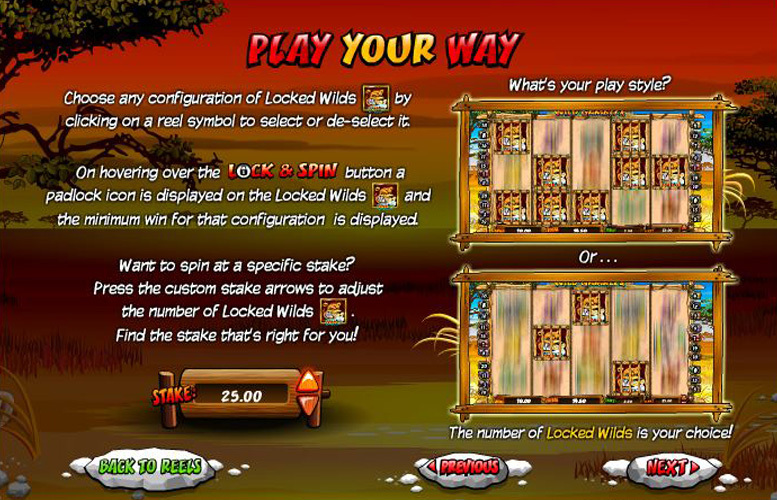 On hovering over the “Lock and Spin” button, a padlock icon is displayed on the locked “wilds” and the minimum win for that configuration is displayed. Finally, if players wish to increase or reduce their stake during the “lock and spin” mode, they can use the custom stake arrows to raise or lower the number of locked “wilds”. This allows for ultimate control over how much is bet per spin. Between one and five meerkats can appear randomly on any spin or “lock and spin”. Five meerkats will award players with eight free spins. 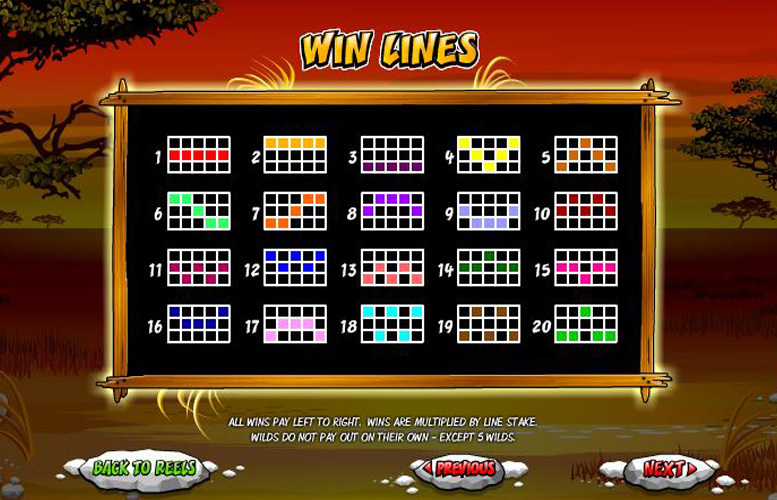 During these, any “wilds” that are locked when free spins trigger will be held for the duration of the free spins. Any new “wilds” that appear during free spins will automatically lock in place for the remaining free spins. King = 70x the line bet. Queen = 60x the line bet. Ten = 40x the line bet. Players can only adjust the amount of cash bet per win line on Wild Gambler. The number of lines are fixed at 20. The lowest possible bet per line is just 1p and the highest is £5. This means the minimum bet on a single spin is 20p and the maximum is £100. Clearly, this title wasn’t built with the highest rollers in mind. Wild gambler isn’t a perfect game. It suffers from a generally low pay table, a low upper betting limit, and a somewhat convoluted bonus feature. That said, once players can get their head round the “lock and spin” feature, it really brings the game alive and makes Wild Gambler a title well worth a quick spin on. This game has a rating of 4 / 5 with 541 total reviews by the users.